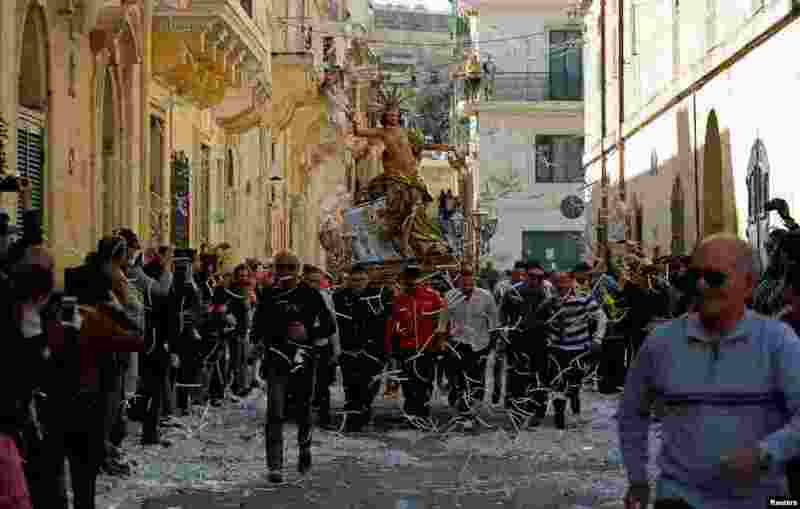 1 Worshipers carrying a statue of the Risen Christ run during an Easter Sunday procession in Cospicua, Malta. 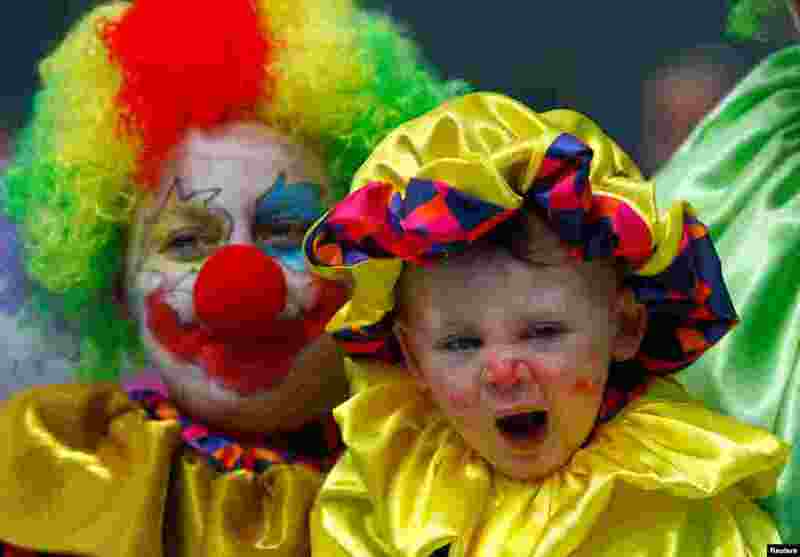 2 A family dressed as clowns participates in April Fools' Day revelry at the city center in Skopje, Macedonia. 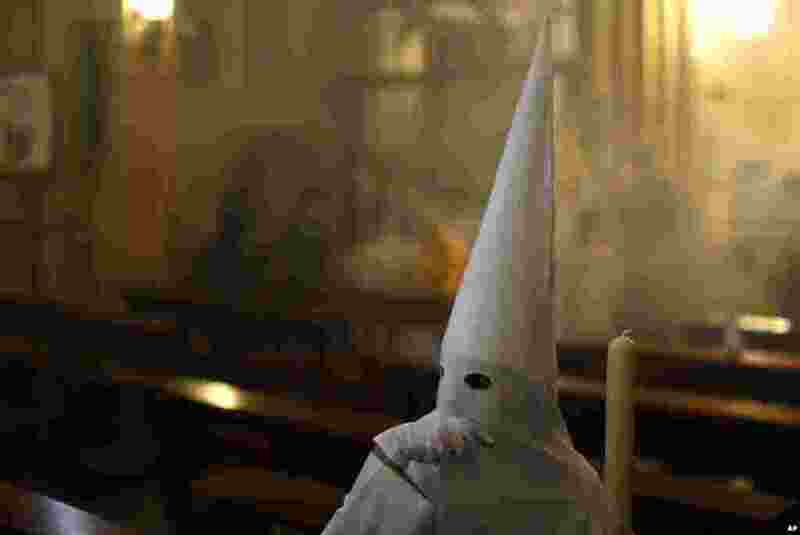 3 A hooded penitent from the "El Resucitado" brotherhood takes part in a Holy Week procession in Cordoba, southern Spain. 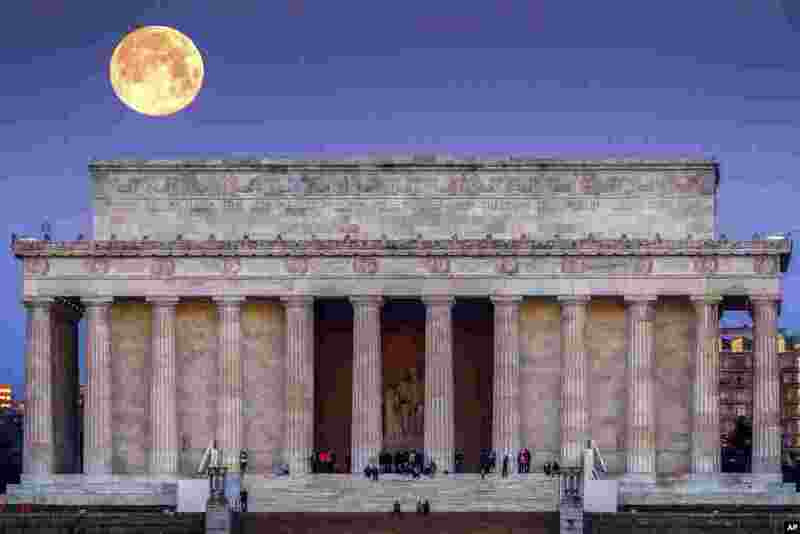 4 The full moon sets behind the Lincoln Memorial as people line the steps to watch the sun rise across the other end of the National Mall in Washington, March 31, 2018.